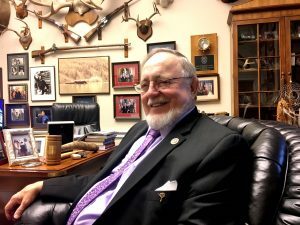 The U.S. House on Wednesday passed a revision of the Magnuson Stevens Act sponsored by Alaska Congressman Don Young. The original 1976 Magnuson Stevens is almost universally praised. It’s the law that keeps foreign fishing fleets off America’s shores and established regional management councils to rebuild fish stocks and ensure sustainable harvests. But Young’s renewal of the law is not without controversy. For instance, in the House floor debate, Young pointed to the law’s 10-year deadline for stock rebuilding programs. Young said some people oppose his bill because they don’t want commercial fisheries succeed. It is the flexibility Young likes that is exactly what strikes some as a step backwards. Democratic Congressman Jared Huffman of California said Young’s revisions would open the door to the bad old days of overfishing, before Young – and the senators – created the Magnuson Stevens Act. Huffman led the opposition to Young’s modifications. “So I find myself ironically in the position of defending the framework that (Young) essentially created, against my colleague’s attempts to make changes that I believe are fundamentally threatening to that very framework,” Huffman said. Huffman cited a government estimate that if all the nation’s depleted fisheries were rebuilt, it would create an additional $31 billion in seafood sales. 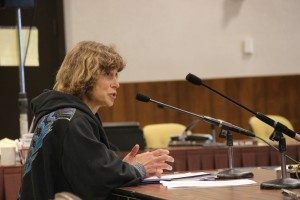 “That’s why we want to keep these critical provisions that have worked so well, because we can do even better if we stay the course,” Huffman said. Linda Behnken of Sitka caught part of the House debate online, during a break in her fishing season. She is director of the Alaska Longline Fishermen’s Association and said it’s more important than ever to rely on science in fisheries management. Behnken said the push for more flexibility is primarily coming from the recreational fishing sector in the Gulf of Mexico, which is seeking alternative management methods. She’s not in favor of straying from the principles in the Magnuson Stevens Act. The chairman of the North Pacific Fisheries Management Council, whose jurisdiction includes the Bering Sea and the Gulf of Alaska, wrote a letter saying the Council doesn’t see the need for major changes to the Magnuson Stevens Act but also see the benefit of giving the councils more flexibility in some situations. The bill passed the House 222-193 and next goes to the Senate, where its prospects are far from certain.